Unfortunately, many women believe that, after a certain age, high-impact lip color isn’t something they can wear with confidence. Well, we’re here to tell you that’s a load of BS. Women in their forties and beyond can not only pull off a colorful lipstick, but also show millennials how a sophisticated statement lip is really done. 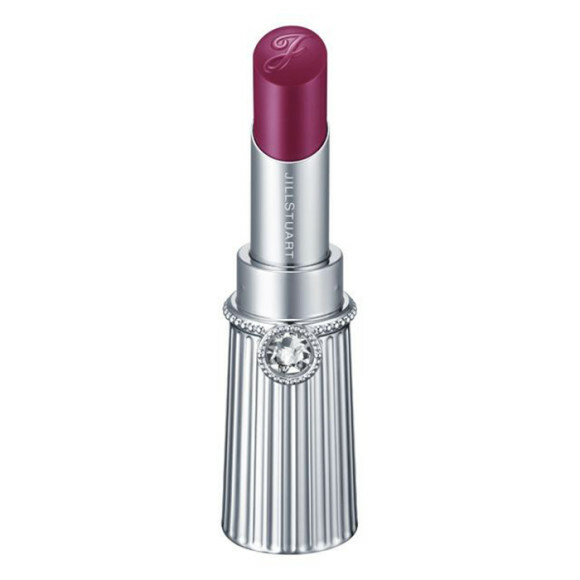 Because we all know: bold lipstick is a great way to add a little oomph to any makeup look. Making it work all comes down to choosing the right formulas — and knowing a few handy tricks to solve some common age-related issues. Basically, biology is working against us on the lipstick front. However, that doesn’t mean all is lost: There are myriad things you can do to course correct. Part of it involves giving your lips a little extra attention, and the rest is about knowing how to apply your lip color to best effect. We asked the experts for their best tips, then rounded up the latest products that make wearing bold lipstick at any age a breeze. Keep reading for the full scoop. As Dr. Gross mentions, with aging comes a host of skin issues standing between you and a colorful pout. The solution: Treat your lips like you would treat your face with gentle and effective ingredients. Dr. Gross advises looking for products that feature sodium hyaluronate, a derivative of hyaluronic acid. “It deeply hydrates and helps plump dry surface lines while reducing trans-epidermal water loss,” he explains. One big mistake many women make is trying to get rid of the dead, dry skin on their lips by exfoliating them. This, says Dr. Gross, could actually be making it worse and aging your skin in the process. The skin on your lips has a delicate top layer that, if removed, leaves them more susceptible to damage. The best way to heal dry, chapped lips is to keep that layer intact, not scrub it off, he advises. Henao has a great trick for not only keeping crème lipstick on longer, but also preventing feathering. 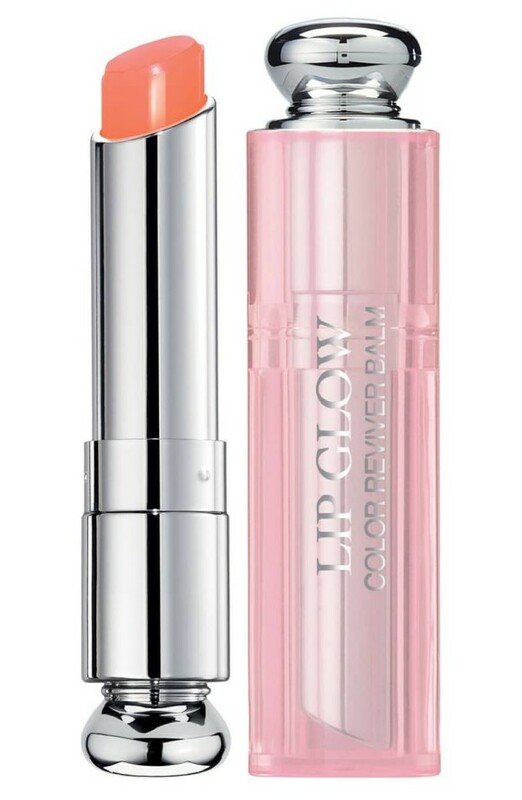 “My tip for a flawless application is to apply a clear lip liner as a primer to the lipstick. Apply all over the lip as well as the outer lip line.” He suggests Estée Lauder® Double Wear Stay in Place Lip Liner in Clear ($26). Now for the fun part: finding a new lipstick that feels fresh and looks fabulous on you. Fortunately, thanks to recent formulation advances, it’s easier than ever to find lipsticks that both treat your skin and deliver intense color payoff. Here are six new ones you need to try. 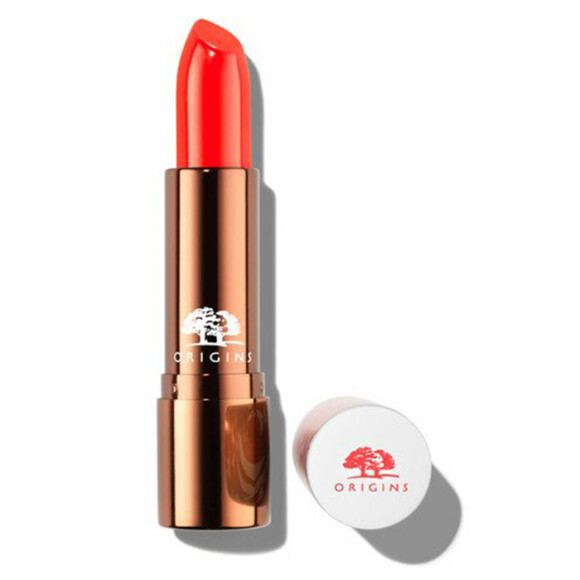 Origins® takes natural to the extreme with their flower-infused new Blooming Bold® Lipstick ($20). Each color features 12 flowers “stem to seed,” meaning waxes, crushed petals, oils, and fragrance all come from a part of a flower. That, plus its one-swipe, full-coverage color means your lips can look kissed by a rose, peony, or in this case, tiger lily. Not many people actually need a lipstick to last 12 hours, but it’s nice to know the option is there with this luxe lip color. Dior® Rouge Dior Ultra Rouge Ultra Pigmented Hydra Lipstick ($37) provides super-saturated, long-lasting, non-drying color in a formula that uses a unique polymer combined with hydrating plant-based oils. 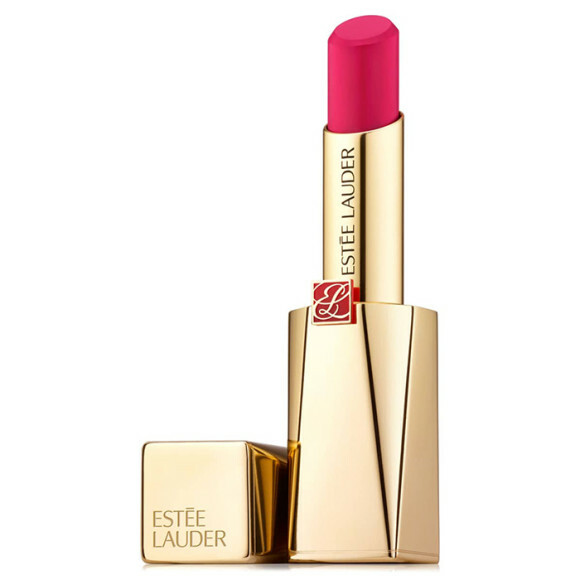 Estée Lauder Pure Color Desire® Rouge Excess Lipstick ($44) is a marvel of modern makeup: it manages to provide intense color payoff in a hydrating formula that’s both long-lasting and comfortable on the lips. That’s to that lip-loving sodium hyaluronate, which is one of the nourishing ingredients. 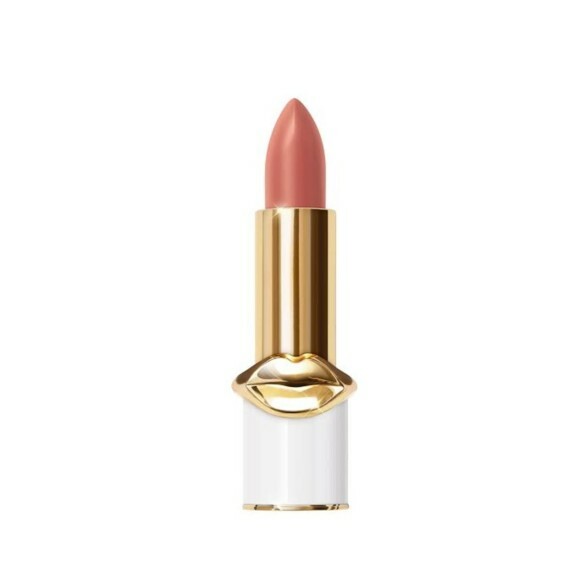 A masterful mix of color and care by makeup artist Pat McGrath, Pat McGrath Lip Fetish® ($38) bills itself as a tinted lip balm, but we think the buildable pigment payoff puts it firmly in the lipstick category. It comes in five bold hues (plus three sheer shimmers) and is packed with vitamins, hydrators, and antioxidants. It’s the epitome of cushy color. A mix of organic oils and waxes, this offering from clean beauty queen Rose-Marie Swift proves that organic makeup doesn’t have to be boring. 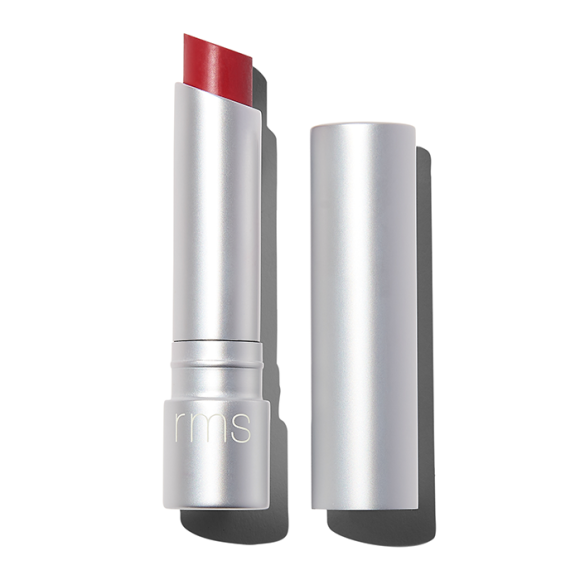 Instead of dull pinks and nudes, the high-impact RMS Beauty® Wild With Desire Lipstick ($28) comes in 15 colors ranging from bright coral to brick red. Previously only available in Japan, this stunning entry from designer Jill Stuart’s eponymous line is more than just a pretty face. Jill Stuart® Beauty Lip Blossom ($24) infused with a bouquet of oils — lavender, avocado, rosemary, and almond — for a super-glossy finish that still packs a pigment punch.